This was Willy De Ville's first studio album for a while, and it is a comparatively unsung one. It is a reasonable album, although I have to say I prefer "Backstreets Of Desire" and "Loup Garou" from the previous decade. It is not a huge matter but the sound quality is slightly better on those two and the same applies to the songs, just a bit. 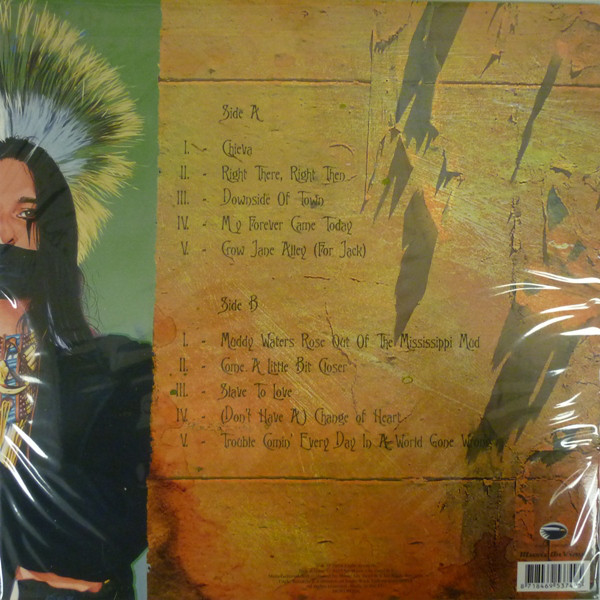 There is something about those two albums, for me, that this one doesn't quite have. The cover is a strange one, showing De Ville in native Mexican/Central American(?) get-up. "Chieva" kicks off with some New Orleans brass and Spanish guitar before a shuffling, jazzy beat comes in. De Ville's voice is older now and, although still bearing that trademark nasal tone, is a bit croakier and gruffer. The lyrics deal with De Ville's heroin addiction which would ultimately, I'm sure, play a part in his premature passing. 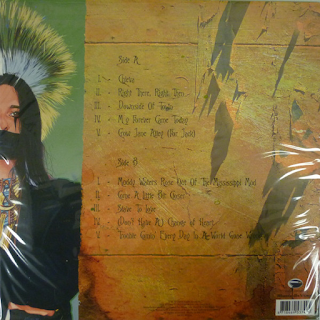 "Right There, Right Then" has a Byrds/Searchers-inspired guitar riff and a typical De Ville yearning vocal. This is the sort of track you just expect from Willy. Here could do this sort of thing in his sleep. I can never get too much of these type of songs. "Downside Of Town" is backed by castanets, accordion and Spanish guitar and has a heartfelt vocal. More classic De Ville fare. "My Forever Came Today" is a slow burning, accordion-backed track in the same style of the two before it. 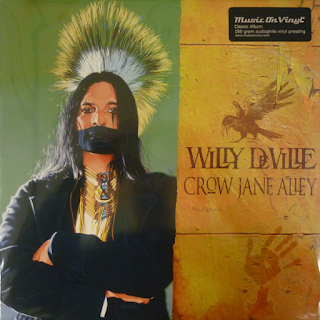 "Crow Jane Alley", however, is a shuffling, bluesy slow, New Orleans-influenced number, full of atmosphere. "Muddy Waters Rose Out Of The Mississippi Mud" is one of those deep, swampy blues that De Ville does so well. "Come A Little Bit Closer" is a cover of a sixties hit for a group called Jay & The Americans (I was not familiar with them or the song). However, it sounds just like it could be a De Ville original, with its Latin syncopation, "La Bamba" hints and mariachi backing. It is a great choice for a cover. Another inspired choice for a cover is up next - Bryan Ferry's "Slave To Love". Ferry's deliver and songs are so unique to him so you would imagine this may not work, but it does, suiting De Ville's voice perfectly. The album concludes in full New Orleans funeral mode for "(Don't Have A) Change Of Heart" and the bluesy slow stomp of "Trouble Comin' Every Day In A World Gone Wrong". Willy rails against modern life over a retrospective classic swamp blues rock beat. Don't get me wrong, there are hidden gems on this album. I still prefer the others I mentioned, but this is worth a listen too.